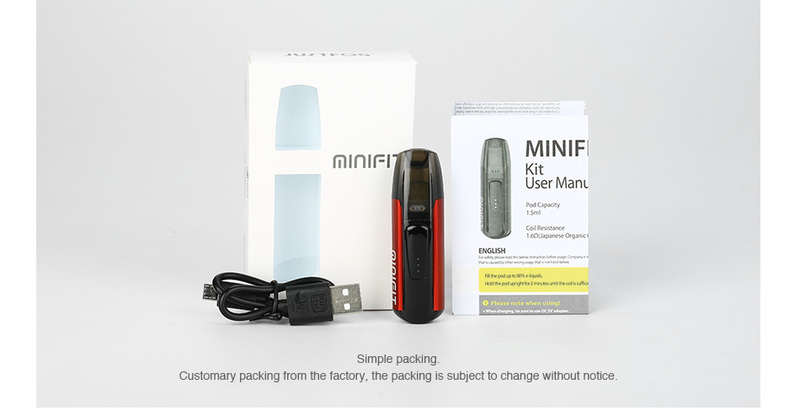 Justfog MINIFIT is a compact pod vaping device, which comes with a 370mAh battery and a 1.5ml pod cartridge. The JUSTFOG MINIFIT battery supports constant voltage output with 3-level remaining battery indicator. And JUSTFOG MINIFIT pod adopts 1.6ohm coil with Japanese organic cotton coils, which brings pure flavor. 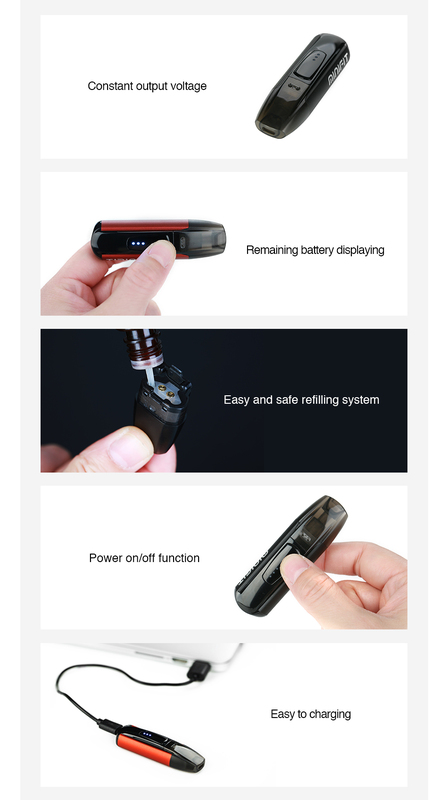 With smart battery protection, you can enjoy a safer vaping.